Want to get your brand noticed by thousands of NPC Athletes? We have a sponsorship to fit your budget! If you are interested in one of our packages, simply fill out the form below and we will be in touch shortly. 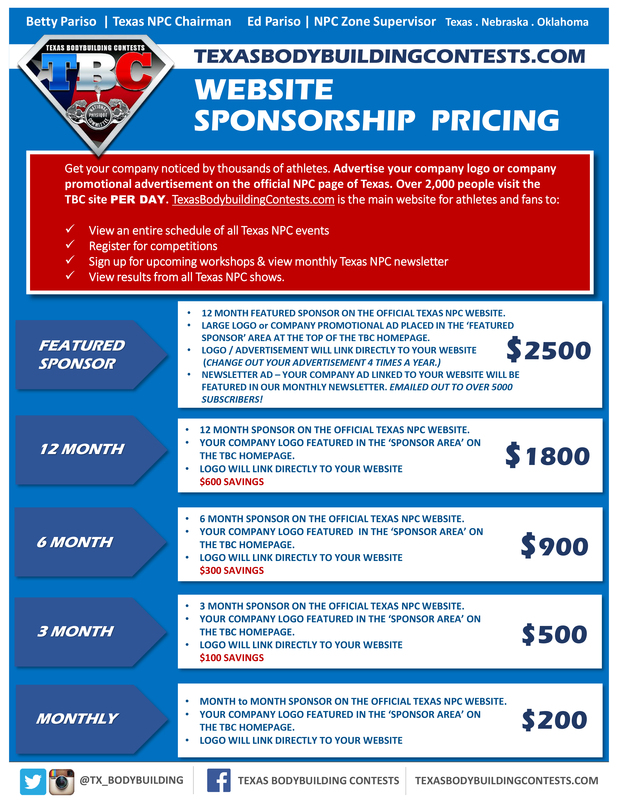 Which Sponsorship package(s) are you interested in?